Inspired by the success of her aunt Pecolia Warner, whose quilts were exhibited in a 1977 Smithsonian traveling exhibition on southern folk arts, Sarah Mary Taylor of Yazoo City, Mississippi, began making appliqué quilts in 1979. Taylor employed a bold color palette and organized her designs to highlight the interaction of one color with another. She created her appliqué quilts block by block, often sewing the blocks to strips of pieced fabric. For this quilt she traced her left hand on a sheet of brown paper, which she then used as a pattern, cutting the shapes from old dresses. Taylor later produced other versions of this quilt, one of which was commissioned for the 1985 film The Color Purple. Inspired by the success of her aunt Pecolia Warner, whose quilts were included in a 1977 traveling exhibition featuring the art of four Mississippi women, Sarah Mary Taylor began making appliqué quilts in 1979. For this example, she cut the shapes from old dresses, using a tracing of her hand for the pattern. She later made other versions of this quilt, including one for the acclaimed 1985 film The Color Purple. 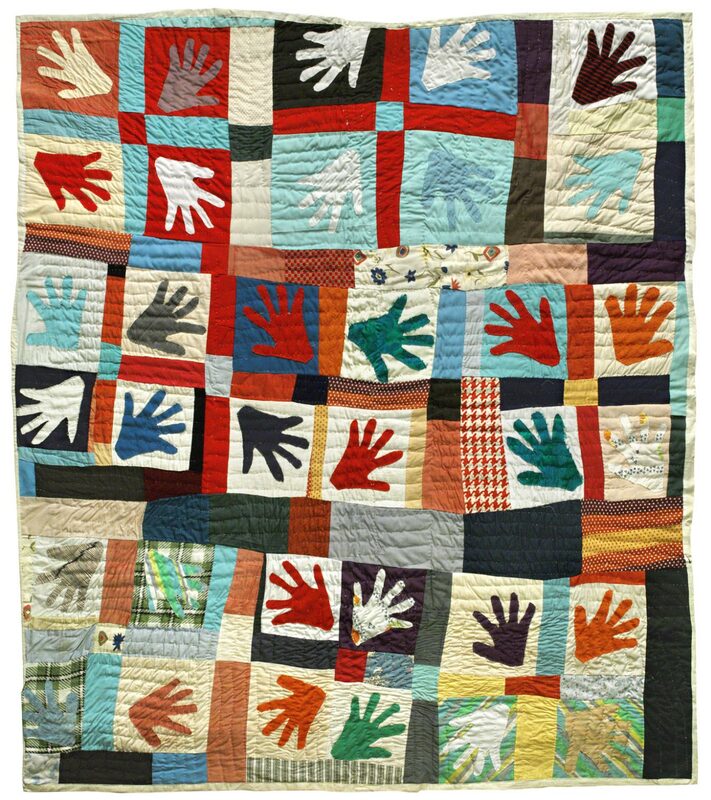 Taylor’s quilt is a highlight of the Ella King Torrey Collection of African American Quilts, formed between 1980 and 1983 while Torrey, who became a prominent arts advocate in Philadelphia and San Francisco, was researching this southern art form. Dilys E. Blum, from Philadelphia Museum of Art: Handbook. Philadelphia: Philadelphia Museum of Art, 2014, p. 387.